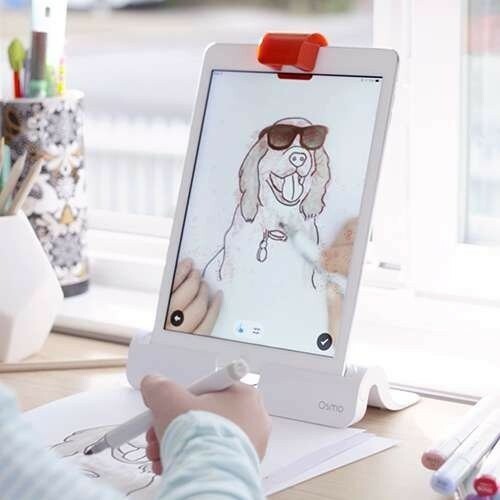 By taking gameplay beyond the screen, Osmo helps kids develop technology skills while still interacting with the physical world! 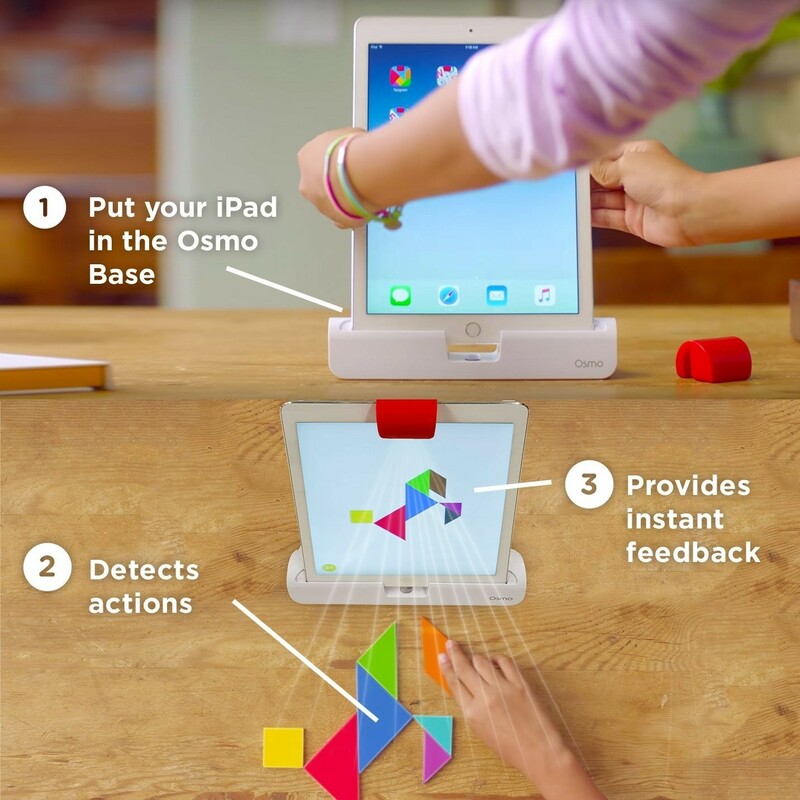 Set up your iPad on the Osmo base and Osmo "sees" what she does in front of the stand, allowing her to play five different games, including Numbers (free form math), Tangram (visual thinking), Words (puzzle form spelling), Masterpiece (drawing skills), and Newton (creative engineering and problem solving). 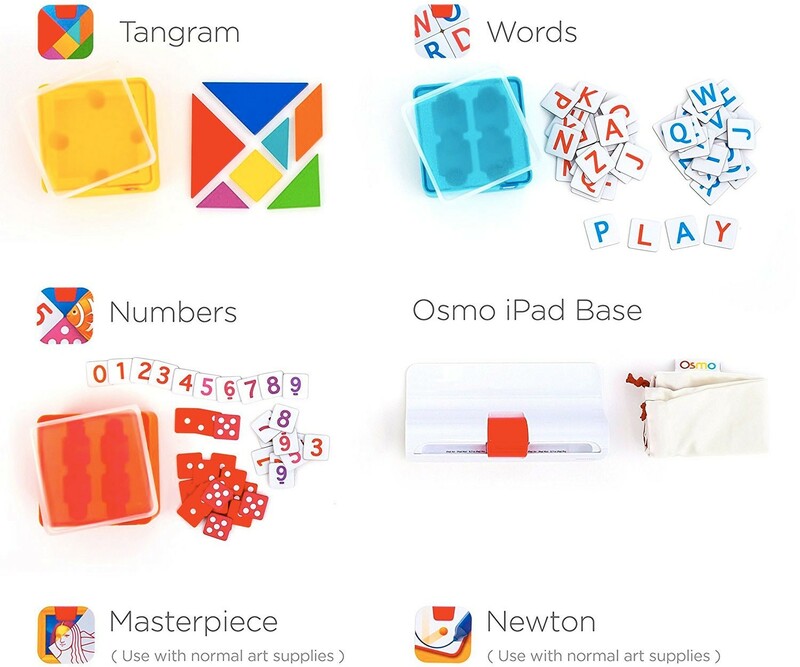 This newly updated version of the Osmo Genius Kit comes with the Osmo Base, game pieces including Tangram shapes, Numbers tiles, and upper and lower case letters for Words, and handy stackable storage containers. Osmo is compatible with iPad Pro 9.7 inch, all iPad Mini, all iPad Air, and all iPad 2 & up devices. 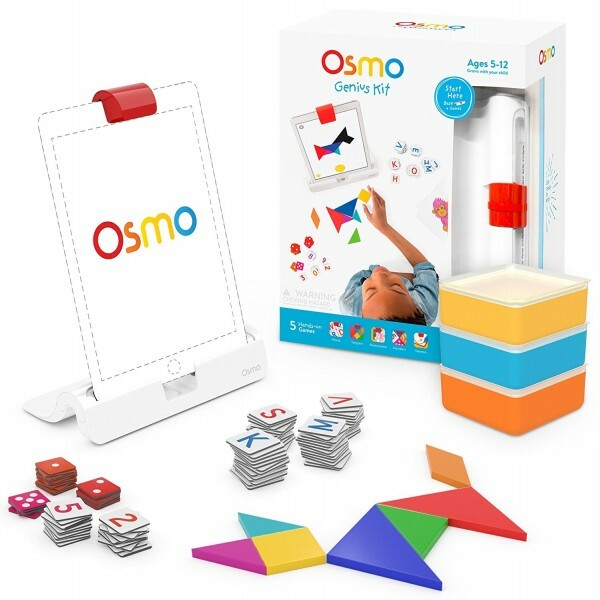 For more toys and kits that encourage kids to get hands-on with tech, visit our Engineering / Technology Collection.